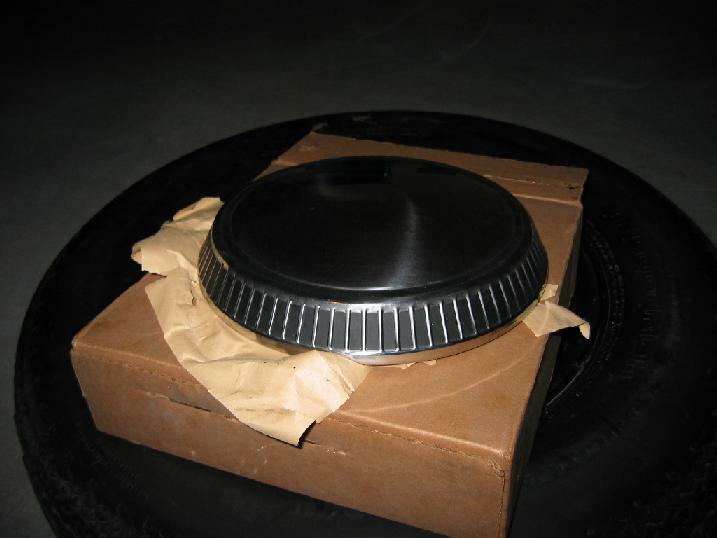 Special Service Mustangs from 1982-1984 were equipped with 14 inch steel rims (14x6), and 205/70/14 tires. The 406 or so units ordered in 1982 by CHP utilized 205/70/14 B.F. Goodrich "Pursuit Radial" tires. Starting in 1983, most SSPs came factory equipped with Goodyear Eagle GTs, also in size 205/70/14 (H-rated). 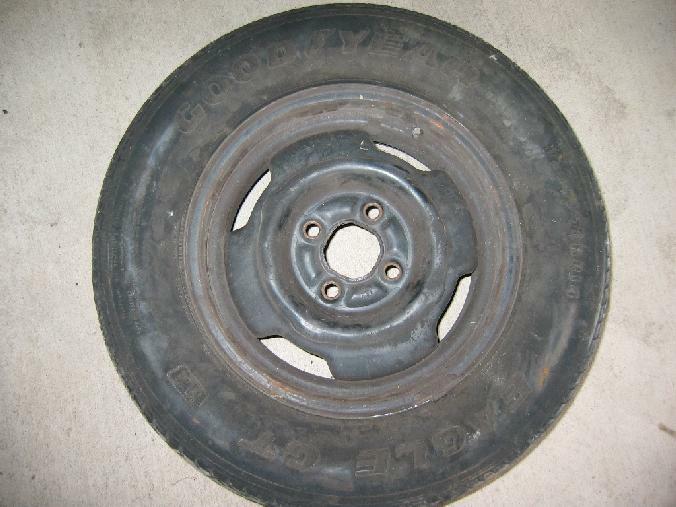 The 14 inch wheels were run with a dog-dish center cap, which appears to have been sourced from the Ford Fairmont (Part number D8BC-1130-FA). A Pinto application, part number D2FZ-1130-A (or D1FZ-1130-A), is identical to the correct caps, but usually has black, painted details on the face and side, versus the plain ring. 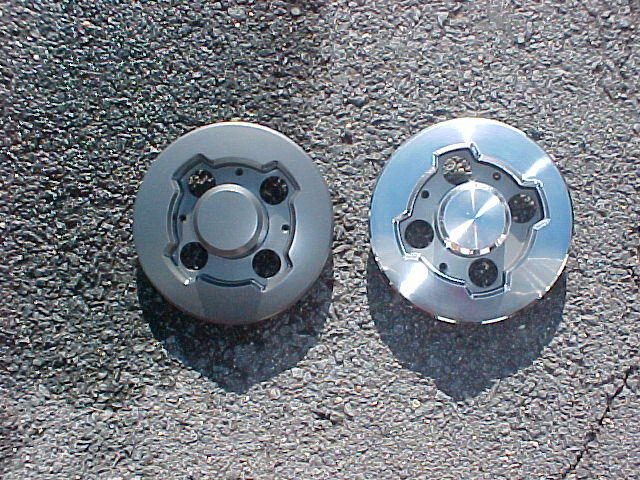 The SSP caps are also made from a pot-metal material, while the Pinto caps are a heavier-grade brushed (or polished) stainless.. 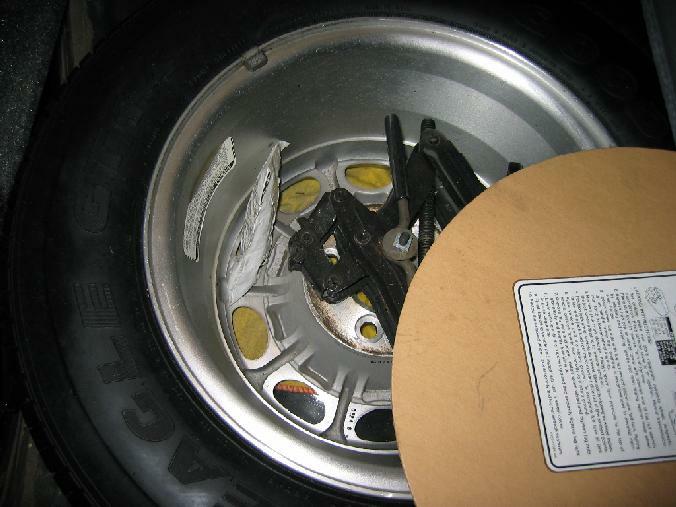 Some agencies, however, special ordered and ran full-size wheel covers, such as the 6 Mustangs ordered in 1983 by the Colorado State Patrol (the SSP caps were OE equipment, but were swapped out for full-size covers). 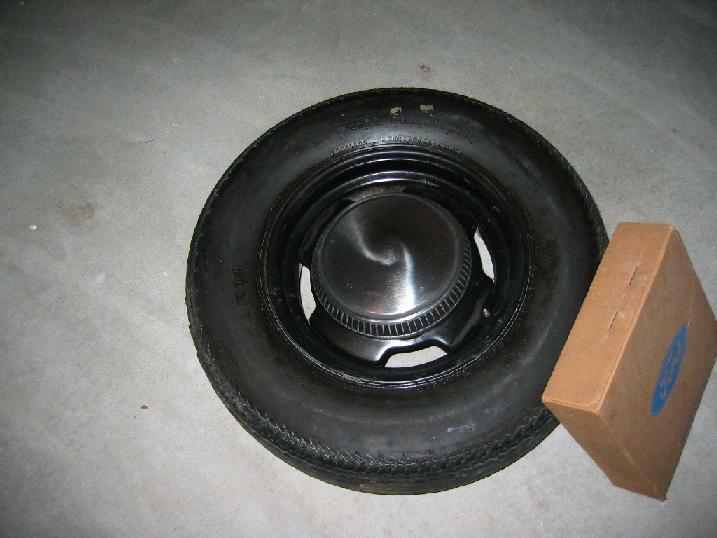 NOS '82 B.F. Goodrich Pursuit Radial tire, size 205/70/14R, as used on the 1982 CHP SSPs. Another shot, depth of the Hubcap (Pinto version). NOS OE SSP Hubcap foreground, NOS Pinto with black trim above it. OE Goodyear Eagle GT, standard on all 1983 and 1984 SSP Mustangs. Closer shot, 205/70/14 size, H-rated. 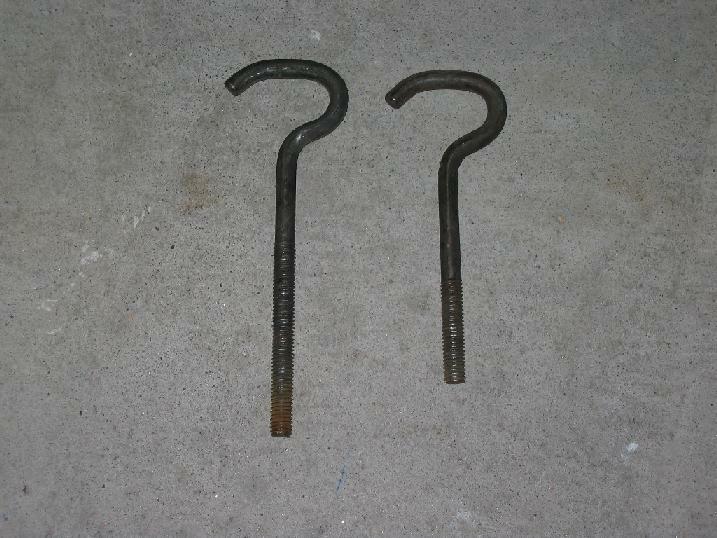 SSP Spare tire holddown on the left...slightly longer than the stock one shown on the right. Special Service Mustangs for 1985 (except for the CFI/AOD-equipped 1985 models) and 1986 were equipped with a new, 15 inch steel wheel, part number E6ZZ-1007-A. Normal tire size for these was 225/60/15, and most of these cars wore V-rated Goodyear Eagles (the Gatorback). The 1985 cars receiving automatic transmissions (and mandatory fuel injection-CFI) still ran the 14 inch wheel, only with full wheel covers. 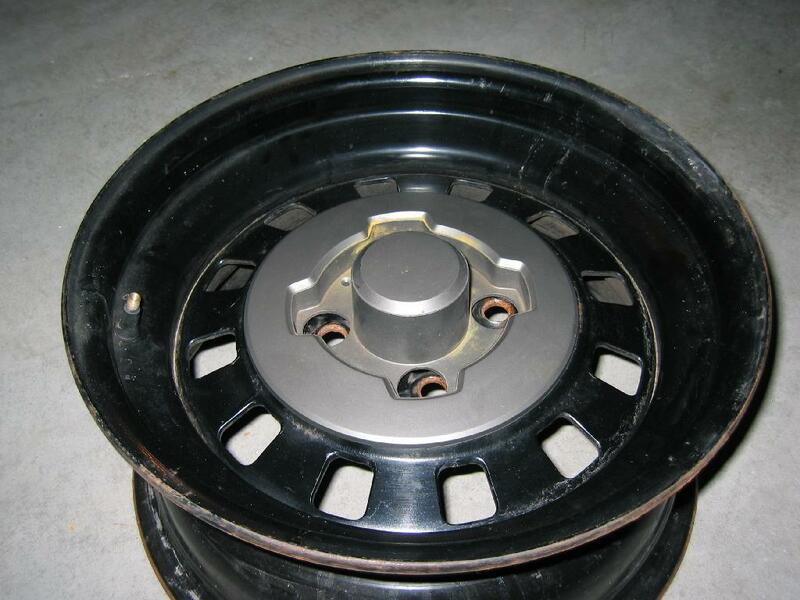 The 15 inch SSP wheels were run with a plastic center cap, which was part number E5WY-1130-D for 1986, and number E6ZZ-1130-A for 1985 (both part numbers for replacement purposes). The difference between the two caps is the finish; the 1985's were argent, and the 1986's were chrome plated. The part numbers for these indicate chrome for 1985; E5, and argent for 1986; E6. However, all of the in-service pics we've researched show the exact opposite to be the case. This discrepancy may also be explained due to the fact that these SSP-specific parts were not immediately a dealer-available replacement part (some SSP parts had to be special ordered directly from Dearborn Assembly Plant or DAP), and the engineering number seen on 1985 SSP build sheets for the center caps differs from the engineering number stamped on the back of the replacement caps. This same issue can be seen with the part number for the wheels, which is an E6 number (indicating 1986, even though these wheels were available in 1985). 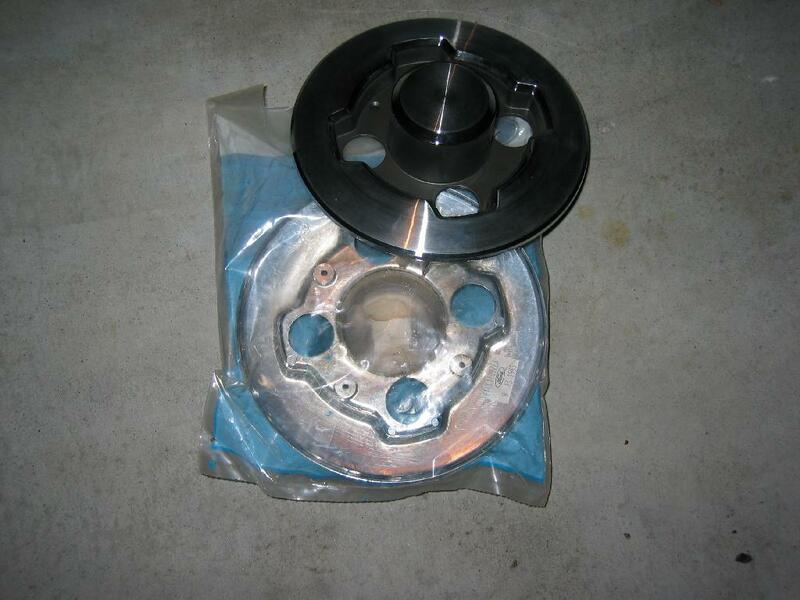 SSP Special Equipment Parts lists for 1985 also reinforce this; the center caps are listed as a kit with an E6ZC part number. Build sheets for 1986 cars have the center caps listed with E5WC prefixes. These center caps have become pretty hard to find new today and sometimes didn't fare very well in-service as the plastic caps tended to melt after repeated, heavy braking. 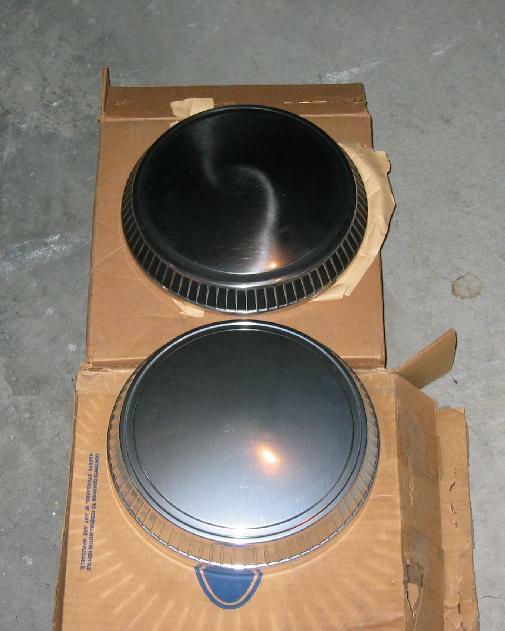 SSP's from 1987-1990 were equipped with 15 inch aluminum rims (15x7), commonly referred to as the "ten hole" rim. Normal tire size was 225/60/15, and the Goodyear VR Eagle (Gatorback) was the fairly standard tire. 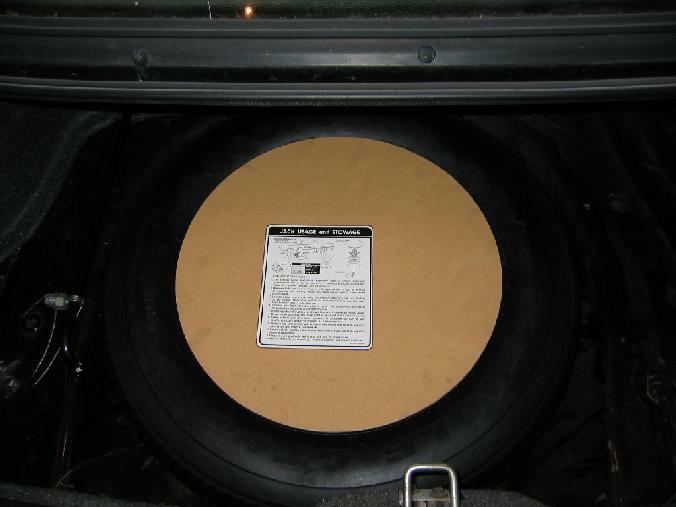 Some agencies, such as CHP, used General XP 2000 tires as an alternative to the Goodyears. The wheels were painted black as part of the standard Special Service Package, but agencies could also opt for the optional cleared aluminum finish. 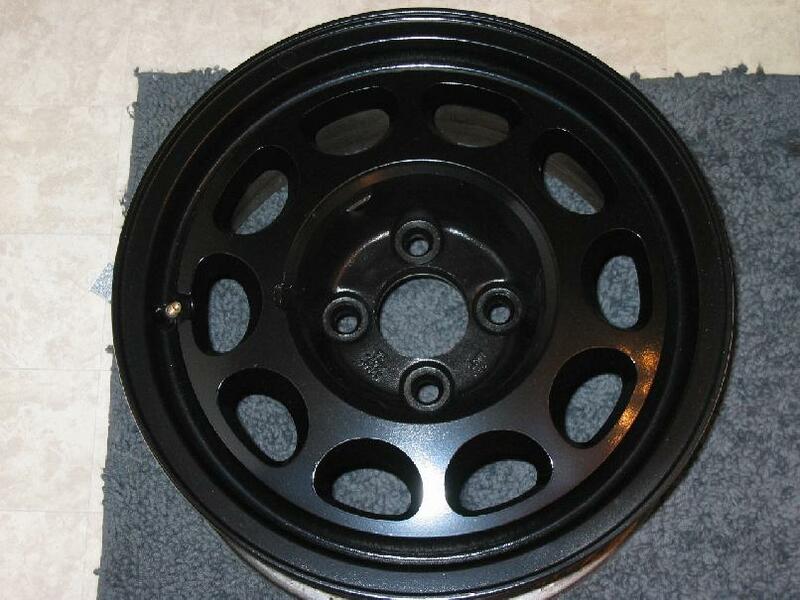 The faces of these rims were painted black, including the hub area (behind where the center cap attaches). 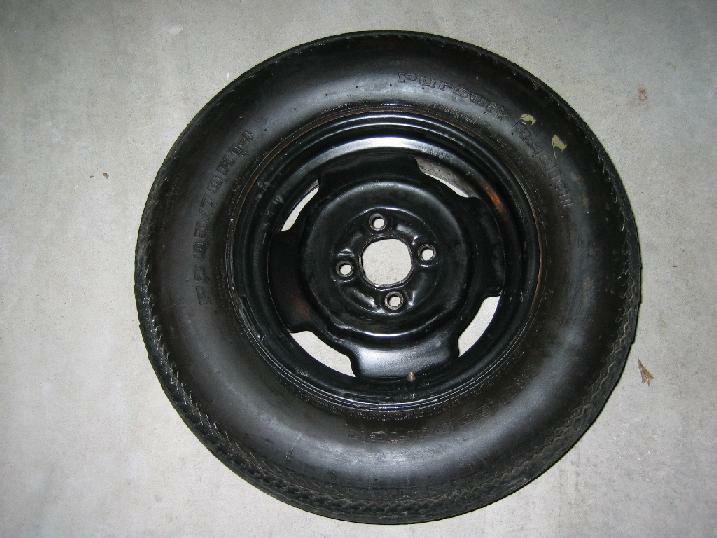 NOS 1987-1990 Black finish wheel (Ten Hole). 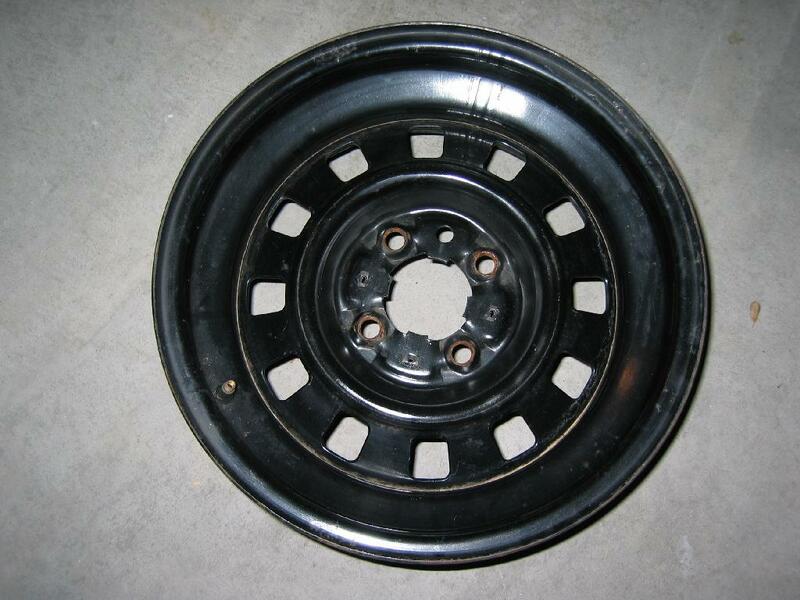 SSP's from 1990-1993 also came with the same 15 inch steel wheel, but sometime in mid-year 1990, Ford dropped the black painted rim and offered only the aluminum finish. 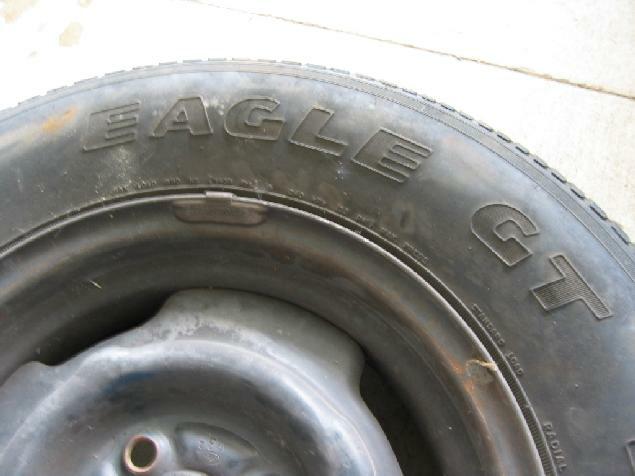 The Gatorbacks also gave way in 1991 to V-rated Goodyear Eagle GT+4s, usually in size 215/65/15. General XP 2000s were still being used by CHP, and were also available for other agencies to special order (usually a 225/60/15 size). 1993 FHP 1187, SSP spare tire board and OE Goodyear GT+4. Closer look at the original V-Rated GT+4 (little use), FHP 1187.